The great Pacific Ocean had been mastered by the ancestors of the Polynesians well before 2,500 BC. 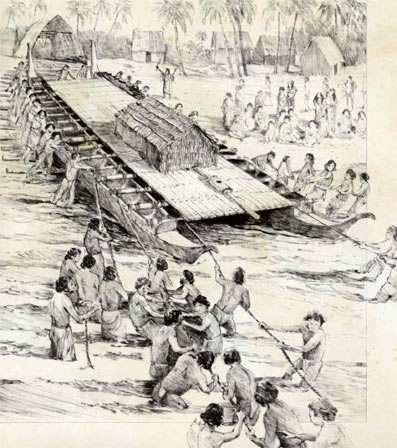 The canoes were constructed as a community project led by master craftsmen, and guided to their destinations by an elite fraternity of navigators, taught from childhood to read nautical information in a host of natural phenomena. They knew the year round positions of more than 150 strars and had a vast knowledge of ocean currents, prevailing winds and the habits of migratory birds.